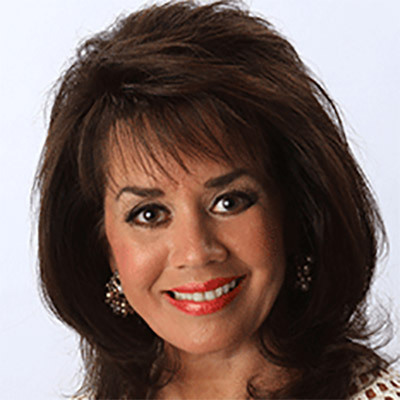 Sandra Yancey is the Founder & CEO of eWomenNetwork, the premier women’s business network in North America. Her organization has 118 chapters, produces 2,000 women’s events annually, including the largest 4-day International Women’s Business Conference & Expo in North America. She is the Producer of the GLOW Project, a powerful movie heralded as one of the most inspiring films ever created for women by the Orlando Film Festival. www.GlowProject.org. Sandra is the recipient of numerous business awards including Excellence in Leadership from the Euro-American Women’s Council in Athens Greece; the Entrepreneur Star Award from Microsoft; the Woman Advocate of the Year Award from the Women’s Regional Publishing Association; and Enterprising Women Magazine; the Distinguished Women’s Award from Northwood University and The International Alliance for Women named her one of the world’s 100 top difference makers. Sandra is the author of Relationship Networking: The Art of Turning Contacts Into Connections, co-author, with Julie Ziglar Norman, of Mastering Moxie: From Contemplating to Creating Absolute Success, is featured in Chicken Soup for the Entrepreneur’s Soul, And her latest book, Succeeding in Spite of Everything is a runaway #1 best seller. Central to Sandra’s commitment to serving others is the eWomenNetwork Foundation, a 501(c) (3) non-profit, which supports the financial and emotional health of women and children in need. Since its inception in 2000, the Foundation has awarded millions of dollars in cash grants, in-kind donations and support to over 85 women’s nonprofit organizations across North America and 113 Conference scholarships to emerging female leaders of tomorrow. CNN has recognized Sandra as an American Hero for her role in mobilizing resources for the girl’s high school basketball team of Pass Christian, Mississippi in the wake of the Hurricane Katrina devastation. Sandra holds a Master’s of Science degree in Organizational Development from The American University, Washington D.C. and a two-year post-graduate certification in “Organization and Systems Development” from the prestigious Gestalt Institute. Sandra lives in Dallas, Texas with her husband, Kym; they are the proud parents of a daughter and son.